Dorovitch Pathology services are available adjacent to the practice at 230 and 236 Mickleham Road. Other services available include Gladstone Park Specialist Centre. Dr John Russo is a qualified and accredited Acupuncture Practitioner with the Australian Medical Acupuncture College, working at GPMC, and has performed both traditional needle and low level laser Acupuncture, for over 25 years. Acupuncture works by stimulating the body to heal itself. Basically it is a way of retraining the body’s nervous system and of balancing its energies. Acupuncture can successfully treat a wide range of conditions including: – chronic pain states, stress related disorders and muscle and tendon injuries. GPMC provides a comprehensive Childhood Immunization Service, including pneumococcal vaccine, and Travel vaccinations. NEWER REGENERATIVE AUTOLOGOUS MUSCULOSKELETAL TECHNIQUES including – Dextrose, Prolotherapy, Platelet Rich Plasma (PRP) and Autologous, FAT TRANSFER INJECTIONS Other solutions are also used in this area by Dr John Russo. One of the first things you should do when planning a trip is to set up an appointment with your doctor 6-8 weeks prior to travel. Destination, activities, length of stay, health history and many other factors affect your risk of illness when traveling. 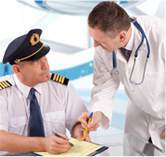 At GPMC we have experienced Travel Medicine staff who are able to evaluate these factors to come up with a care plan tailored to your travel. GPMC can offer pre-travel assessment to determine your health care needs: Information about disease risks: explanation of travel health issues, including food, water, and insect precautions: Preventative vaccines and medications including – Hepatitis, Cholera, Typhoid, Rabies, Tetanus, Polio, and Yellow Fever, Japanese Encephalitis, Meningococcal and Malaria pills: as well as written advice and documentation including the International Certificate of Vaccination. * GPMC is an accredited Yellow Fever Immunization Centre. Throughout each year GPMC conducts a diabetes assessment / health program which aims to prevent or reduce the complications associated with diabetes. Our nurse educator and/or your doctor can provide further information on the program as well as providing ongoing education, assessment and testing to all diabetics from the time of the initial diagnosis, and ongoing Chronic Disease Care. Following medical assessment, a change to your medications, or discharge from Hospital, it may be advised by your Doctor that an HMR be conducted. This is an in-home service provided by your pharmacist of choice designed to clarify medication issues and answer any questions. It is followed by a review by the General Practitioner of your choice. Our nurse educator is available to assist you with any questions you may have regarding the HMR. If you are aged from 40-49 years of age, ask your doctor if you are at risk of developing diabetes and what actions can be taken to prevent the onset of Diabetes. A risk assessment, blood test and nurse review can be performed to review these issues. Dr John Russo has a special interest in skin cancer medicine and cancer surgical interventions and procedures, in general practice. All of our doctors use Dermoscopy in the management of skin cancers and lesions and perform surgical procedures for patients. GPMC offers comprehensive checkups for the over 75 year olds. The patient is interviewed by a nurse and topics as diverse as state of their teeth, their immunizations and whether they need assistance with transport is discussed. The patient is then examined by the Doctor. We have Doctors fluent in Italian, French, Arabic, Persian and Hindi. Nutritional and Environmental Medicine is defined as the study of the interactions of both nutritional and environmental factors with human physiology, biochemistry, pathology and anatomy and the clinical application of these interactions in the optimization of health and the prevention and treatment of disease. This may involve the removal of certain foods or chemicals from the patient’s environment, the use of rotation diets and the provision of vitamins, minerals, trace elements and essential fatty acids or other nutritional supplements. Excesses or deficiencies of any nutrient or the presence of basic chemicals or electromagnetic radiation results in cellular dysfunction and illness. Some metabolic tests are available which may indicate imbalances within the body. These include: hair analysis, which gives an assessment of minerals and heavy metals; the prolonged glucose tolerance test, which analyses blood sugar levels; urine samples and various blood tests designed to evaluate vitamin, mineral or hormonal excesses or deficiencies. Treatment is aimed at correcting the basic imbalance and its cause, as well as providing symptomatic relief. Proper balance is achieved by providing the molecular environment that allows the body to heal itself. This is done by attention to basic nutrition, providing those nutrients that are found lacking or reducing those found in excess. Mineral and vitamin supplements are added where diet cannot satisfy the individual need for nutrients. Environmental Medicine is concerned with those physical and psychological symptoms that result from allergy or sensitivity to various inhalants, foods, beverages and numerous chemical substances in air, water and food. Consequently, individuals exhibiting physical or mental illness are suspected of having a sensitivity to some environmental factor that is upsetting the balance of nutrients within the body. Environmental toxins are eliminated as far as possible. CHRONIC DISEASE MANAGEMENT & CARE PLAN CLINIC. As part of our ongoing commitment to ensure a high standard of care for our patients, the practice has established a daily Care Plan Clinic. A Care Plan is a written health plan which outlines goals for the management of your health and the treatments, services and care which will help to achieve those goals. The plan includes time lines and reviews. Each patient attending the clinic will spend 30 minutes with our Practice Nurse and during that time your current health and care needs will be assessed. You should discuss with your doctor whether a Care Plan would benefit your ongoing health and well-being. After discussing it with them, they can organise an appointment for you at the Care Plan Clinic. There is no charge for attending the Care Plan. Normal Fee will apply for follow up consult / review with your G.P. If you would benefit from seeing any other health care providers your GP will recommend appropriate services, discuss care and goals with them, and draw up a plan called a ‘Team Care Arrangement’. This may mean setting up a plan between services you already use. You will be consulted about your personal needs and goals and what results you would like from the plan. We are aware that there are times when situations arise, preventing patients from attending their designated appointment. However as a matter of courtesy to the doctor, clinic and other patients, a telephone call advising us of your inability to attend would be appreciated. (This will allow another patient waiting for an appointment to be seen.) Please let us know if you are running late. Option One: If the condition is life threatening or clearly requires X-Ray, Blood Tests, or care in hospital, it is most appropriate to Dial 000 and call for an ambulance. We will be notified of admissions by the hospital. Option Two: Contact the Doctor Doctor Service on 132 660 and they will have a doctor attend to your needs. We will be notified of the consultation. When the Clinic is closed, this service provides Doctors that come to you at night, weekends and Public Holidays. am on the day. During working hours we also have a nurse who can triage calls from concerned parents and discuss immunization etc. Results will NOT be given out to patients over the telephone. Results are normally available within 3 – 4 working days from when the test was performed. If an appointment is required for the result, the patient will be advised. If you require a medical certificate, please advise the doctor at the time of consultation, as the doctor cannot backdate certificates if you have not been seen. 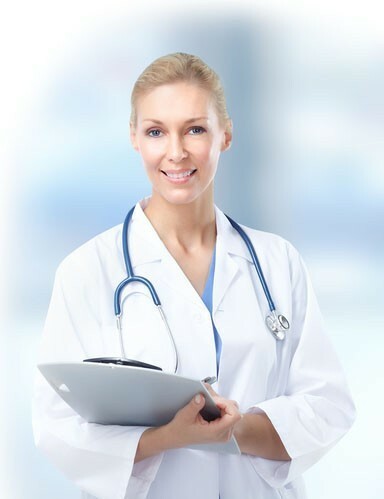 • This Clinic now has Mixed Billing with Doctors Private Billing and others may Bulkbill. • Most medical services and procedures will incur a fee. attendance and may be made by cash, cheque, credit card or EFTPOS. • GPMC offers you the convenient option of lodging your Medicare Claim electronically after you have seen the doctor. With your consent, it only takes a couple of minutes and a few easy steps to electronically lodge your claim from the practice. • A discounted fee is applied for full payment at the time of attendance. Payment can be made by cash, cheque, credit card or EFTPOS. • Routine Childhood Immunization consultations will be usually bulk billed. Adolescents seeking confidential medical care may also be bulk billed. • Fees may vary between doctors depending on consultations. • Medical Emergency presentations to the clinic will be billed and arrangements for payment may be made at a more convenient time if necessary. • For Worker’s Compensation / TAC visits, we require a valid claim number or authority from your employer; until this is received ALL costs are the responsibility of the patient. • Practice Nurse “consultations”. Where a patient is seen by, treated by and/or triaged by a nurse, a fee may be charged, and a doctor is usually involved in your care. PLEASE KEEP OUR PATIENT DETAILS UP TO DATE Let us know your email, Mobile phone (For sms reminders), and any change in details, next of kin and address. BRIDGING THE GAP “ABORIGINAL AND TORRES STRAIT ISLANDERS, we are here to help and assist you. Home visits are available for the regular patients of this practice whose condition prevents them from attending the surgery. Please ring the surgery to talk to the receptionists who will advise you regarding the best way to go about your current health condition as what you may think is a minor issue that can wait might be a critical situation where you need to contact an ambulance on 000. Also long appointments are available and need to be booked in advance and the reason for the length of the appointment to be notified to the receptionist at the time of making the appointment, example procedures, multiple issues in the same visit(normally two short issues can be handled in one appointments),etc. Our practice is committed to preventative care and we may send you a reminder notice at certain times to indicate that attendance for preventative health services is required. If an urgent matter arises, we will endeavour to contact you. If an urgent matter arises, we will endeavour to contact. If you do not wish to be recalled please let reception know. The service of Repeat Scripts will no longer be available on this website – an appointment must be made to obtain a script from the doctor. The Practice provides a health service that accommodates a diverse multicultural population including those with disability. It is the responsibility of the patient to collect their x-ray/s and store in a flat position. We only store x-rays up to six weeks. Any x-ray not collected after that time will be returned for disposal.